LinkedIn has recently made modifications to their authentication system requiring users to re-authenticate every 60 days. Expiring access in this way is generally done to circumvent situations where a 3rd party was granted permission long ago and you haven’t gotten around to barring them access to your data. 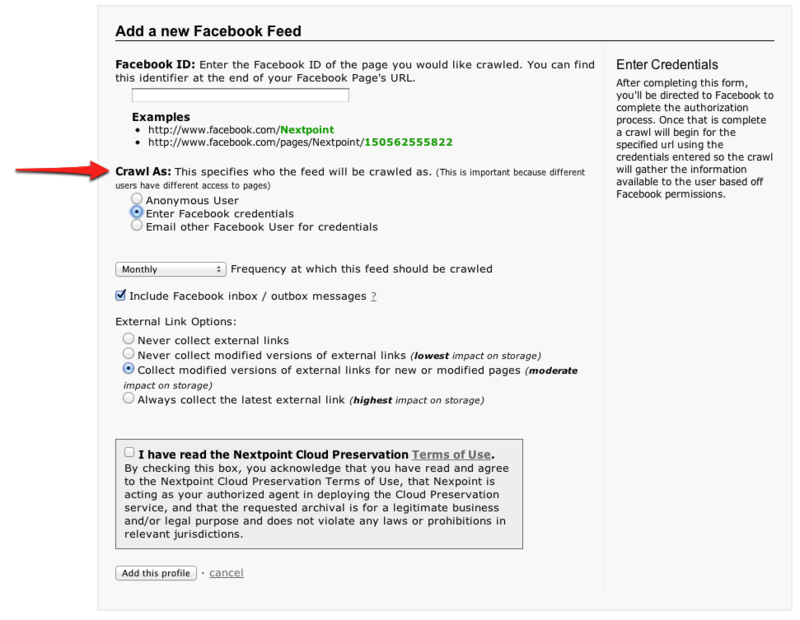 As the feed’s owner, you will be notified again when the authorization period is expiring. Failure to (re)grant that permission will result in CloudPreservation no longer being able to obtain/capture your data from LinkedIn. As always, the actual authentication involves CloudPreservation sending you to a LinkedIn server to provide your credentials and grant the permission. CloudPreservation will never obtain or store your personal LinkedIn password. 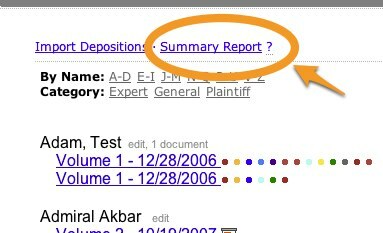 Available in TrialCloud, this feature provides a high level overview of what is currently loaded. It’s quite handy when conducting a “what are we missing” audit following extensive uploading. 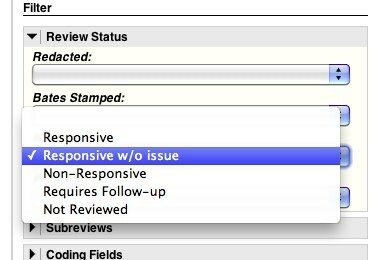 Available in DiscoveryCloud, this handy feature helps you isolate documents that have been flagged as responsive but are potentially missing a reason code. Downloading large files via the browser can be inconvenient. Moving them to a location where you can utilize a more robust upload/download tool can simplify the process. 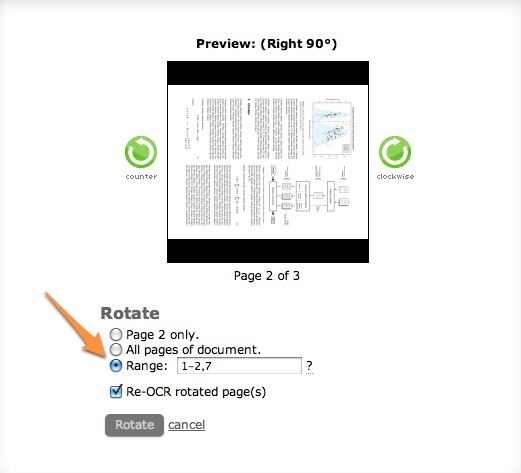 Rotating pages individually can be a hassle when an entire document came in sideways. Move several at once by providing a range. Each of these features is already available and active in your Nextpoint application instance. 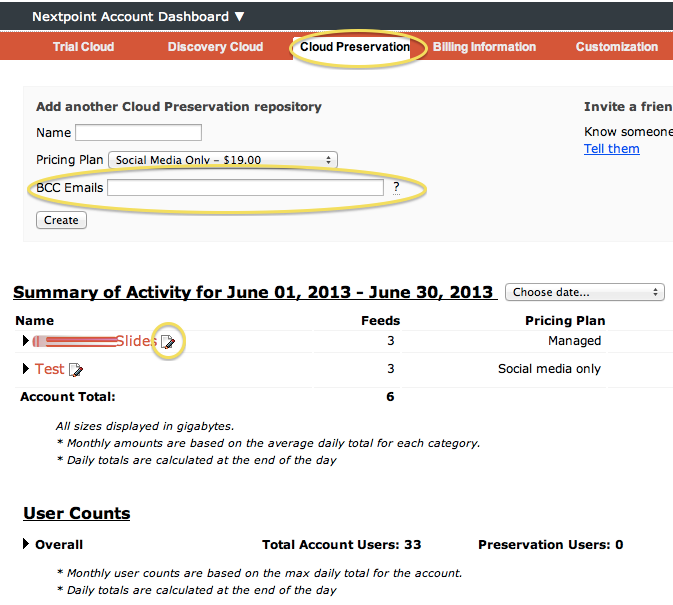 Last night we rolled out some improvements to help users switch between different accounts and product instances in Trial Cloud, Discovery Cloud, and Cloud Preservation. With more and more customers taking advantage of all of the Nextpoint applications, as well as the introduction of the Nextpoint’s WIRE technology, we know that the list of Nextpoint product instances that a user may have could get unruly. 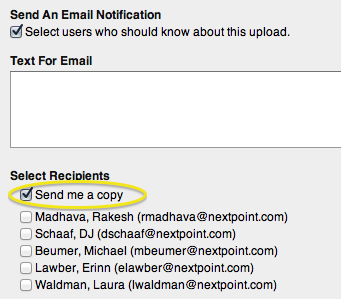 We’re hoping these changes help keep you organized as the number of your Nextpoint product instances grows.